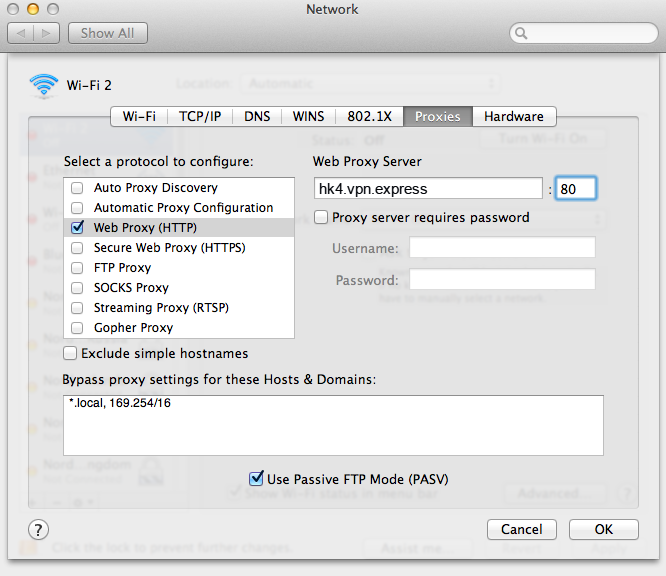 This is a tutorial explaining how to set up HTTP proxy on Safari Browser. 3. A new window pops up. 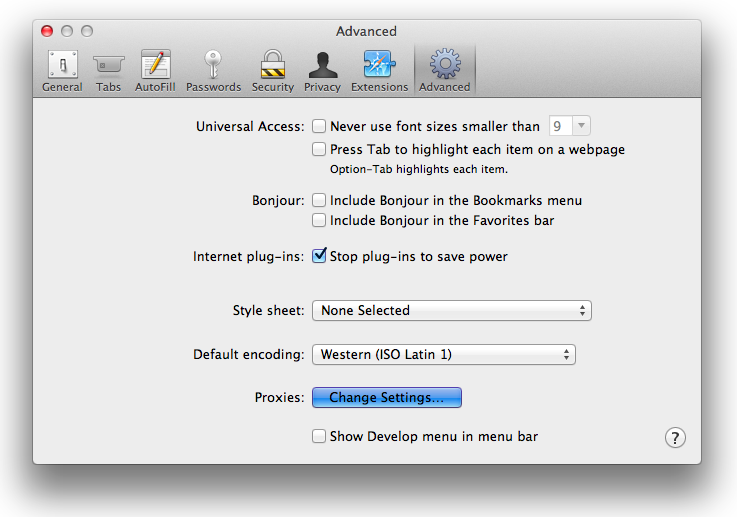 Go to the Advanced tab and next to the Proxies you will see a button Change Settings… Click on it. 4. In another new window you have to choose the protocol to configure. 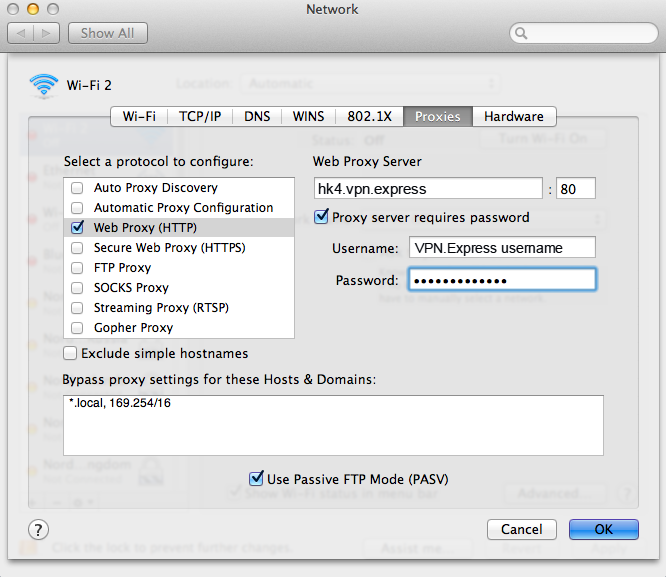 Thus check the box Web Proxy (HTTP). 5. In the Web Proxy Server field enter one of VPNExpress’s servers addresses. You can freely choose any server you like from this list: VPNExpress Server List. 6. Next to it enter the Port, which is 80. 7. 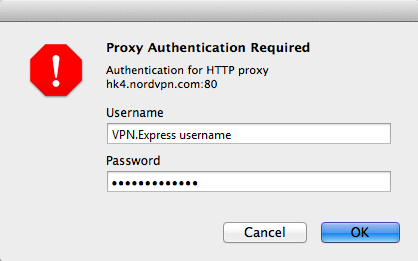 Check the box Proxy server requires password and enter your VPNExpress Username and Password in the authentication fields. 9. You might be prompted for the username and password once more when you will try to access a site. In this case, enter your VPNExpress Username and Password and click on OK. 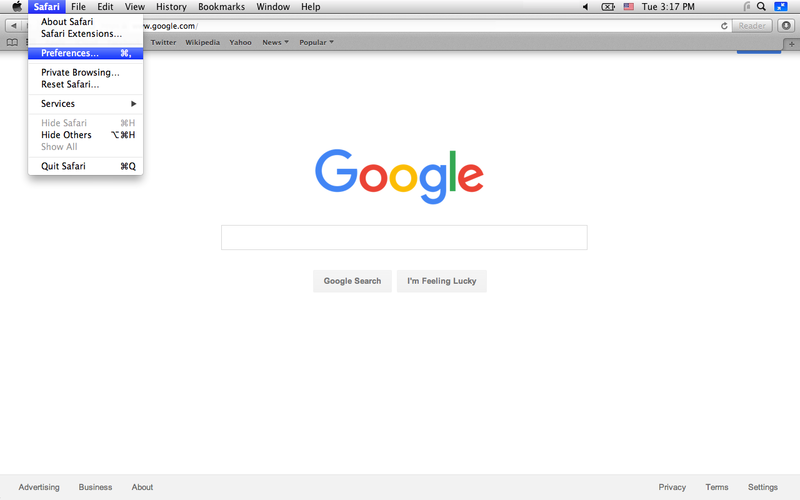 Your Safari configuration is completed and from now on you can browse anonymously.